I’m attaching a call for papers for a conference to be held in Saint Petersburg, Russia, in May of 2019. We would be very grateful if you could publish this to your readers. The Center for Advanced Studies of the St. Petersburg State University of Economics (UNECON), the Zicklin Center for Business Ethics Research of the Wharton School of the University of Pennsylvania, and the Center for Business Ethics and Corporate Governance are organizing an international symposium on the “Economics Profession in Russia” as part of the VIII Conference on “Business Ethics and National Patterns of Behavior.” The conference will take place at UNECON in Saint Petersburg, Russia, on Monday and Tuesday 20-21 May 2019. The organizers are accepting paper proposals until 13 February 2019. 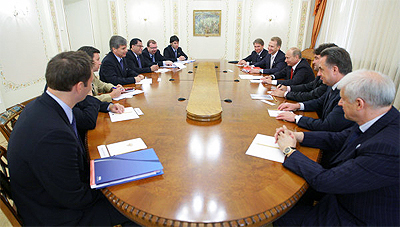 The objective of this conference is to develop an understanding of the present condition and nature of what is called in Russia “the economic profession.” In keeping with the ongoing objective of this conference series, the conference will also consider ethical implications of changes within the profession and effects on the study and practice of business ethics. Russia has undergone and continues to experience many changes in the last twenty-five years; those changes include changes in how the social sciences are studied. The changes to the study of economics is particularly affected by the motivation of some within Russia to adhere to academic norms and systems outside of Russia. This conference will bring together leading scholars in Russia to discuss these changes and to try to develop an understanding of the current state and future directions of the study of economics. In Russia, the study of economics includes application to business and business management. The conference therefore will include presentations on the ethical and social implications of changes in the way that these subjects are studied and understood. This conference is also an opportunity to discuss the extent to which the economics profession illustrates differences in thinking between Russia and the West, and exemplifies changes occurring in transition economies. The organizers are soliciting abstracts from academics, policy makers and regulators, private sector representatives, as well as others who are engaged in activities related to the study or practice of business ethics. Abstracts should indicate which of the above-suggested topics they fall within, or if not within the above topics, how the proposed presentation relates to the overall theme of the conference. Unfortunately, there is no funding for participation in this conference. The call for abstracts is open until 13 February 2019. Please submit an abstract and a short biographical statement of each of the authors to Patricia Dowden at pedowden@gmail.com. Any questions for further information can be addressed to the same.